1991 was the beginning of the end for the sport in Newcastle. Gavin Parr had left to join his brother Mick at Heckmondwike, and the remaining riders were left to ride challenge meetings, as the team failed to continue in the Northern League. There would be some league action for some as they had outings for Hull in the Northern League. Those having meetings were John Wilson, Kristian Walker, Neil Magee, Jason Keith and Terry Kirkup. In place of the Northern League, a new competition was proposed. Newcastle, Edinburgh and Glasgow were to take part in the Scottish and Tyneside League. Riders have 5 programmed rides, the two reserves have 3, but can have up to 2 extra rides as required. K Walker 13(qual), TBC (qual), A Dickinson 6 (did not qualify). The first meeting surprisingly turned into an easy win over Hull in the annual Inter City Trophy. Apart from the unbeaten Simon Plows and Andy Schofield, Hull had little to offer, and all of the home riders scored well. K Walker 16+1, A Dickinson 16, P Dickinson 15+2, N Magee 15+1, J Wilson 12+3(4), J Keith 12+3(4), D Johnston 11+4(4), A Patterson 9+4(4). S Plows 20, A Schofield 18, C Boot 10, D Johnson 7, D Waterson 6, A Hancock 6, J Flynn 4+1(3), R Todd 3(3). As no combination meeting was held, a full 20 heat individual was held, The field was strengthened as Gavin and Mick Parr now riding for Heckmondwike took part. Gavin went through the meeting unbeaten, John Wilson dropped his only point to the winner, with Hull's Andy Schofield third. 19 May 1991 EDINBURGH v NEWCASTLE Scottish and Tyneside League Won 92-84. Heat details not available, the Newcastle scorers are. K Walker 17+1, J Wilson 17, J Keith 13+1(4), T Kirkup 13, N Magee 11+1, A Dickinson 9+1, A Patterson 8+1(4), D Carson 4(3). 26 May 1991 GLASGOW v NEWCASTLE Scottish and Tyneside League Won 93-87. Newcastle returned to Scotland, this time only managing to arrive with five riders. Taking advantage of the loose rules, rider replacement was used together with two Glasgow riders at reserve. In a meeting that went to last heat decider, Newcastle again came out on top. J Wallace 20(6), J Spiers 18, C Mackie 14+1, D Baxter 10+2(4), J Beukmann 9+1, A Mackie 7(3), W Redmond 6+1, A Mackay 3(3). N Magee 19+1(6), K Walker 19(6), T Kirkup 18+2(6), P Dickinson 15+2(6), A Patterson 11+1, K Salem (guest) 6(4), D Henderson (guest) 5(3). Edinburgh were the next visitors, but left empty handed as Newcastle took another win. The home team fielded just six riders, but still managed a 12 point victory, It was a real team performance with high scoring from all. Unfortunately, full details are not available. Newcastle scorers only. T Kirkup 19, J Keith 18+1, J Wilson 17+3(6), K Walker 15+2, N Magee 14+1, A Patterson 7(4). 23 June 1991 NEWCASTLE v GLASGOW Scottish and Tyneside League Lost 83-94. Glasgow made their first visit to Tyneside, and managed to end Newcastle's unbeaten run. John Wilson and Neil Magee led the way for the home side, but were badly let down by their reserves. Dean Carson and newcomer Stewart McCallum failed to beat an opponent. For Glasgow, James Wallace was unbeaten as the visitors took an 11 point win. N Magee 19, J Wilson 18, K Walker 14, T Kirkup11+3, A Patterson 10+1, P Dickinson 5, D Carson 3(3), S McCallum 3(3). J Wallace 19+1, L McDougall 14, C Mackie 13, A Mackie 11+2, C McArthur 10+3, J Spiers 10+1, W Redmond 9(3), J Beukmann 8(3). 7 July 1991 HULL v NEWCASTLE Inter City Trophy 2nd leg lost 81-99. Newcastle were next at Hull for the second leg of the Inter City Trophy. Hull junior Robert Todd was added to make up the team. 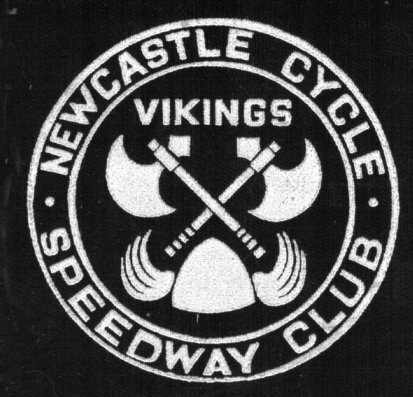 Newcastle had no answer to the unbeaten Simon Plows (again), Pete Schofield and Ian Clark from his 4 rides, while Andy Schofield dropped just one point to Kristian Walker. The reserves again proved to be a weak link, again failing to beat an opponent. Although again scoring solidly, Hull took the win by 18 points, however Newcastle took the trophy on aggregate. S Plows, P Schofield 20, A Schofield 19, I Clark 14+2(4),D Johnson 9, J Hancock 6+1(3), M Barnes 6, A Hancock 5(4). K Walker 15+1, N Magee 15, J Wilson 15, P Dickinson 12+2, T Kirkup 10+3, A Patterson 8+2, D Carson 3(3), R Todd (guest) 3. 4 August 1991 NEWCASTLE v GLASGOW Scottish and Tyneside League Won 99-80. Glasgow returned to Newcastle, hoping for another win. 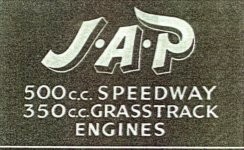 James Wallace repeated his maximum, but he was unable to stop a full strength home team, who brought back Gavin Parr as a guest. His paid 19 was the difference between the sides. N Magee 16+1, G Parr (guest) 15+4, Kristian Walker 15, T Kirkup 13+1, P Dickinson 13, J Keith 12+1(4), A Patterson 12+1(4), D Carson 3(3). J Wallace 20, M Norris 16, J Beukmann 9, J Spiers 8, W Redmond 8, A Mackie 7(3), K Spiers 6+2, C Mackie 6. Copyright © 2011 Keith Dyer. All rights reserved. Advertisers are welcome on this website. email for the price.